The Symphonieorchester des Bayerischen Rundfunks has already performed Beethoven symphony cycles on several occasions. 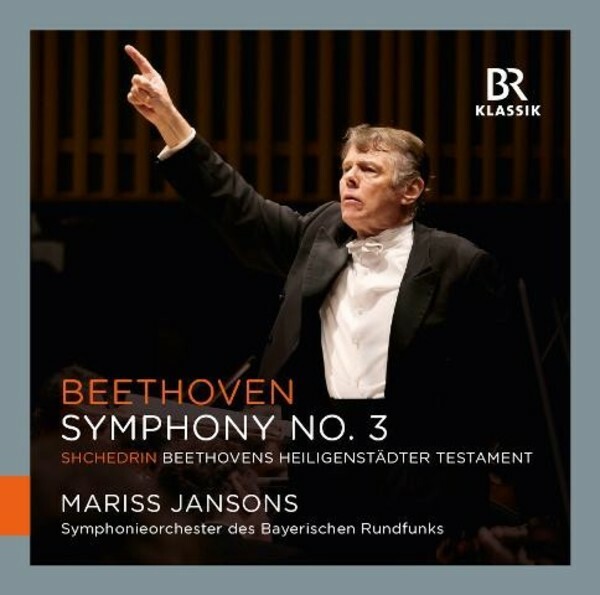 Mariss Jansons has now extended the cycle concept in two respects: with works specially commissioned from contemporary composers, who have contributed their own musical reflections on Beethoven symphonies, and by presenting these outstanding concert events on the record market as a series of live recordings. Following the excellent response from critics and audiences for the award-winning Complete Edition (BR-KLASSIK, 900119), BR-KLASSIK now presents the symphonies on individual CDs. The first of these is the Symphony No.3 in E Flat, op.55, in a live recording made in 2012 in Munich's Herkulessaal, accompanied by a work of the Russian composer Rodion Shchedrin (born 1932). For his symphonic fragment 'Beethoven's Heiligenstadt Testament', Schedrin has selected the devastating document � written around the same time as the Eroica � in which the composer described the progressive deafness that almost drove him to suicide.